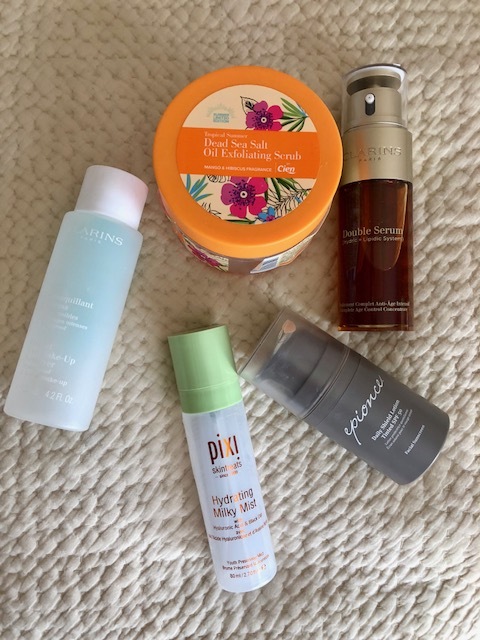 On a beauty theme again, I thought it might make for an interesting post if I shared my beauty product empties from this month. I really enjoy these posts on other blogs as they’re a great gauge of whether a product is worth buying or not. Now I've called this 'May Empties' as if it's something I'll do on a monthly basis but truth is, it'll be a more sporadic kind of post. I don't use a massive amount of beauty stuff - I'm quite loyal to certain things and so it's rare that I have more than one product empty at once. But I'll see how it goes...you never know! 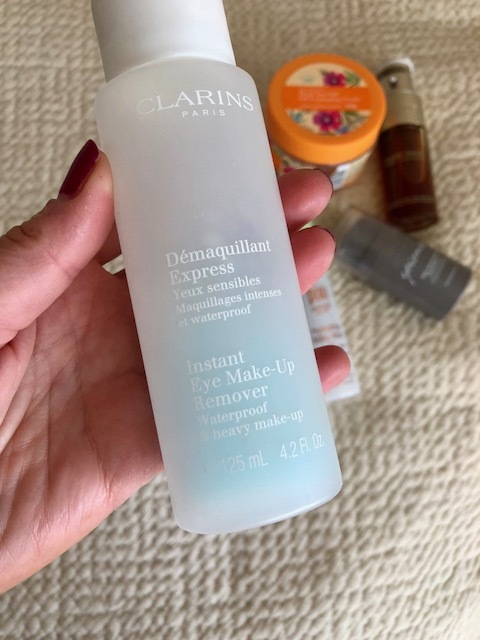 I only currently use 2 Clarins products and both feature on this blog post. First up, my favourite eye make up remover which despite trying more expensive and more hyped other brands, I always go back to. I've got very sensitive eyes and this strikes the balance between being gentle and actually taking all the make up off. It's a fine balance! It's not overly expensive and lasts for months (I bought this in early December). If you come upon a gift with purchase offer, you can nab yourself a nice wee sample set with toilet bag. 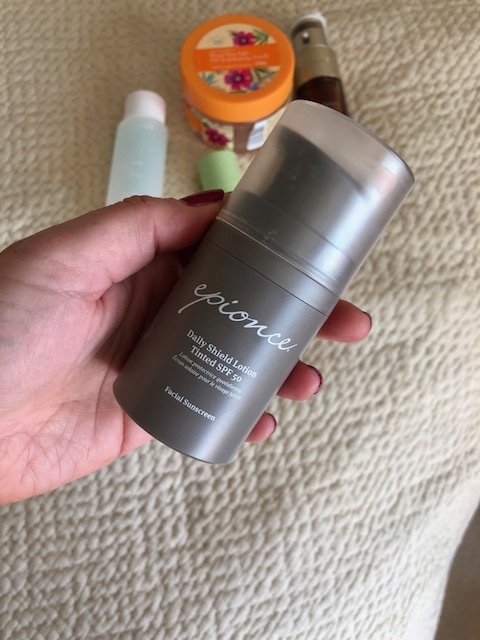 Next up, my holy grail of summer skincare - Epionce Daily Sheild Tinted SPF 50. 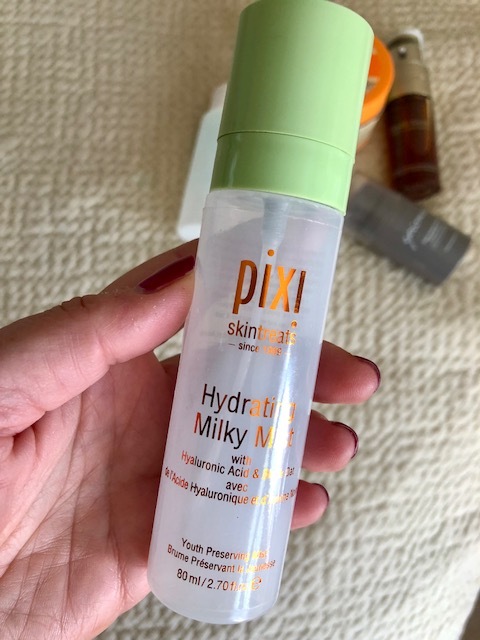 I use this every day but unlike a lot of daily SPF's that are suitable for daily use, it's also suitable to use on a sun holiday so it was on my face constantly during my 11 days in Tenerife over Easter. Hence it's emptied faster than usual. But it's well worth it for full spectrum UV protection without any irritation. Because it's tinted and has a primer effect, it means I wear less make up so it's a real win win product. It works great when you're exercising too. Next up, the bargain of the empties - my Cien body scrub from Lidl. 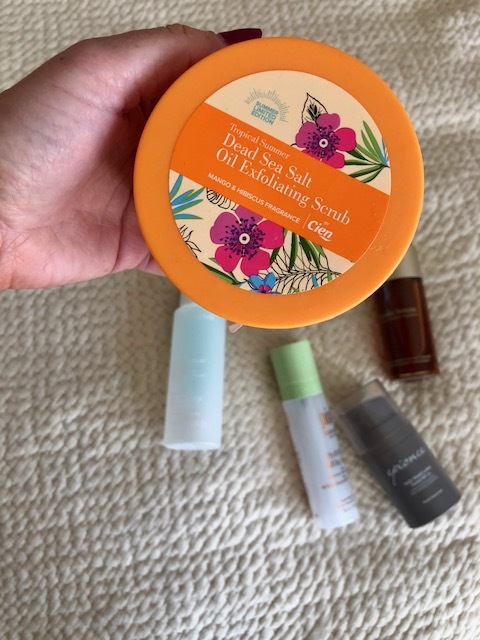 This is a gorgeous body exfoliator leaving you (and your bathroom) smelling of mango & tropical fruit while leaving your skin smooth and moisturised. Because of the oily texture of it, I don't use it immediately before tanning - I instead use it the day before. It's got real salt (not nasty plastic bits - which are now banned but you will still find on shelves), and is scratchy enough that you feel like it's doing something but not so scratchy that it hurts. I should say that you should stand in the shower with dry skin to use this to it's best effect. Have your shower running a trickle of water so that you can dampen your hands a bit to spread the scrub all over but don't get under the shower until you've scrubbed yourself all over. Pure bliss! 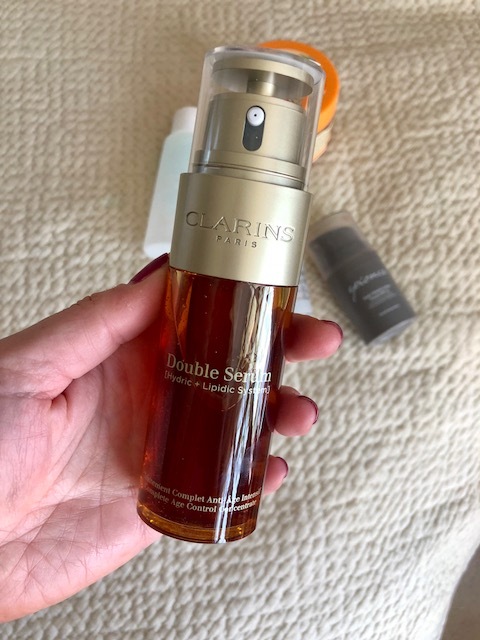 Finishing with Clarins Double Serum, which you'll have to trust me I finished. I was just a bit fast off the mark washing it out and recycling so you're getting to see my new bottle. I really rate this serum - I bought my first bottle 10 months ago and only finished it last week. It's not cheap but that's a pretty impressive price per pump I reckon. A little goes a long way as it's powerful stuff. I bought my first bottle in the airport and was going to ask for a new one for my birthday next month but was unexpectedly sent a complimentary one by the Clarins counter at Clear Pharmacy - a local company who knew that I loved it. They've also invited me into their Abbey Centre store to meet the Clarins team there and try out some of the products as I'm not familiar with the brand beyond the serum and eye make up remover (and the occasional samples I pick up when buying these). So I'll share this visit with you on Instagram this week if you're interested. But back to the empties and the point of this post? I've re-stocked all of these products as I have been so impressed by them and that to me is the best endorsement you could get really. I'd love to hear what products you always re-purchase....do share on here or send me a DM on social! Disclaimer - this is not a sponsored post though I was gifted a couple of the items as part of press drops. This has not influenced my content in any way. Some of my links are affiliate links which means that if you click on them, the brand will know you came from my website and may pay me a small commission (typically 1-5%) should you buy and keep an item. This doesn't change the price of the item for you and the modest income I make from this all goes towards the running costs of this blog. I loved this post Avril. Must try the Lidl scrub as I really rate their body creams. Love all the Clarins products so look forward to your review. The Merumaya eye cream ... hands down the best eye cream I've used. In fact the whole range is fabulous. Elate Skin continues to be my personal esthetician for years! We believe in the woman's while using maintenance of my personal eyebrows. Elate Skincare North Vancouver which I have started to have confidence in and also have utilized included in my own style as well as skin care plan, employees continue to be which is truly pleasant as well as helpful.